Former Real Madrid manager Bernd Schuster believes Alvaro Morata was “wrong” to leave the club and should have waited for his chance. The Spanish striker came through the youth teams at Real before debuting in December 2010 for the senior side in a late cameo against Real Zaragoza in La Liga. But, in light of a lack of first-team opportunities at the Santiago Bernabeu, Morata sealed a €20m transfer to Juventus in 2014 and enjoyed a successful two-year spell in Italy before Real exercised their buy-back option to sign him for €30m. However, Morata found himself playing backup to Karim Benzema in the team under Zinedine Zidane and sought to leave Los Blancos again the following summer where he sealed a transfer to Chelsea for a club-record fee of £60m. 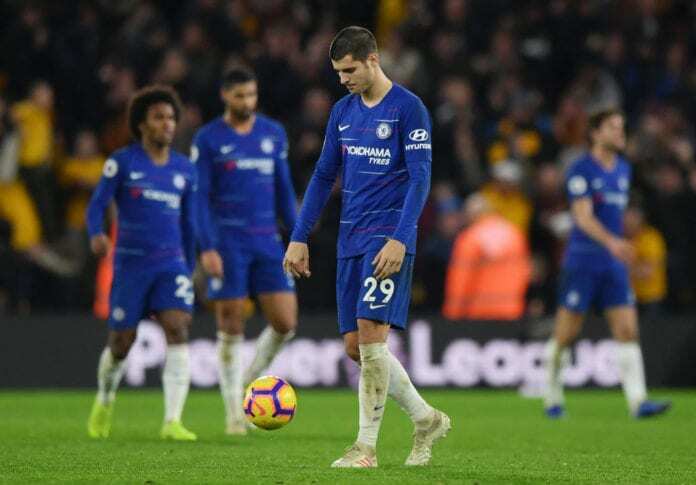 Although the 26-year-old has fared no better at Stamford Bridge and appears to have fallen out of favour under Blues coach Maurizio Sarri, who announced this week that Morata has informed the club of his desire to leave. Now Morata is being heavily tipped to sign for Atletico Madrid, which was the club he first started out at during his career. But Schuster doesn’t think such a move would be a good idea and added that the impatient Spain international should have stayed put at Real. “I’m surprised by Morata’s arrival at Atleti,” Schuster told Onda Cero. The former midfielder also spoke out on Marcelo’s situation at Real after producing a good performance in their 4-2 Copa del Rey win over Girona on Thursday. The Brazilian full-back’s future has been in doubt amid a lack of recent opportunities due to Sergio Reguilon’s strong form with Schuster even accusing him of getting “fat easily” when he’s not playing earlier this week. “Bringing in Marcelo was very positive, although he is still not at 100 per cent, which showed in Girona’s first goal,” said Schuster. And the German has no doubts that Real are indeed missing Cristiano Ronaldo this season after he joined Juventus in a €112m deal last July. “What they miss at Madrid is a player who gets 45-50 goals,” he added.